Among all the forms of property damage, none is as common yet devastating as water damage. From a leak in a basement to a broken hose connected to an appliance water damage can strike subtly or aggressively. Regardless, the water damage still brings structural damage, damage to your belongings, and if left unchecked can create a perfect environment for mold to breed. The key to mitigating the impact of water damage is to respond quickly and effectively. At 911 Restoration, we understand that, which is why our team is available 24/7/365 to respond to your call. We promise to be there within 45 minutes of your call ready to get to work. Whether it’s water damage, fire damage, mold, or a disaster you can count on our technicians to handle your emergency restoration and get you the Fresh Start you need to get back to normal life. Water damage restoration is much more than simply removing standing water. Our certified technicians start with a visual inspection so we can advise you of the best plan of action. No matter the source of water damage, we have you covered. Our team uses the latest techniques and equipment when handling your water damage restoration. Once we are ready to start working, we use a combination of water extraction and drying to get your property dried out. After that is completed, we start working on repairing what was broken along with what was damaged to give you a full and comprehensive restoration. Always remember that speed is the key with water damage. Thanks to our many years of experience we know exactly how much time it takes for mold to grow, which is why we work quickly to prevent mold as well as prevent recurring mold. If you’re suffering water damage, don’t wait to call us at 911 Restoration of Dallas so we can begin your water restoration immediately. Everyone deserves a Fresh Start. 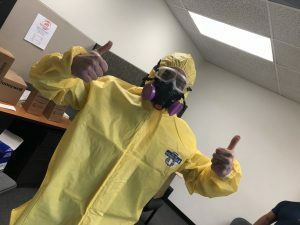 Besides the water damage, as a property owner, you also have to be aware of the contaminants within the sewage that makes the backup such a hazardous situation. Sewage water is also known as black water, which is a class 3 substance. That’s why no matter what you should not let any part of your bare skin touch the sewage. Use every effort possible to get the backup contained and get professionals out to handle your cleanup. A toilet overflow due to built up pressure in the sewer system is the most common source of a sewage backup. If you’re noticing that your toilet is not flushing properly, you might be at risk of an overflow. If the overflow occurs, get the team at 911 Restoration of Dallas out as soon as possible. Due to the hazardous material, we use hazmat gear in our sewage cleanup efforts. We also use industrial grade detergents to disinfect the area combined with advanced water extraction equipment to ensure that your home is safe. Don’t wait to call us if you’re suffering from a sewage backup. A fast response gives you the best chance to complete your cleanup without excessive water damage or the need for mold removal services. Claim your Fresh Start today! For immediate and potentially life-threatening damage, there is no property damage as devastating as fire damage. Fire spreads and keeps growing as long as there is oxygen to feed on. That’s why in the event of a fire, calling the fire department is your first call. Fire damage restoration cannot begin until the fire is stopped. If you have suffered fire damage, don’t hesitate to call the team at 911 Restoration. We will handle all aspects of your emergency restoration so that you can have the Fresh Start you deserve. For a property owner, a disaster can strike at any time. Because disasters often involve different types of damage ranging from water damage to fire damage and more we employ a comprehensive disaster restoration approach to address all of your restoration needs. In addition to our restoration services, we also walk you through the insurance process so you can get the relief you need. Our years of experience has allowed us to work with every insurance provider to get you the best relief possible with your insurance claim. If you decide to do so, we can even file your insurance claim for you. 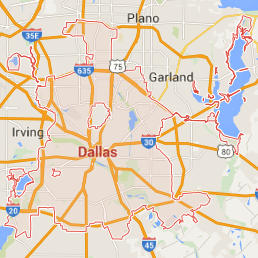 If you need disaster restoration, call the crew at 911 Restoration of Dallas immediately. We will get you back on your feet as part of our Fresh Start guarantee. Although mold is subtle, it’s still capable of damaging your property in a considerable way. Even excessive humidity in a dark room can cause mold, and this is not even including when water damage comes into play. As mold grows it spreads out further and further. Once the amount of mold is large enough it can start eating away at the organic materials that make up your property creating a great need for mold removal. That’s why our technicians look for classic mold signs like rotting or crumbling drywall plus a pungent and stale odor in our visual inspection. Besides property damage, mold can also cause health problems ranging from breathing problems to headaches and coughing. Due to potential health problems, we use only the latest in containment measures to prevent further spread through airborne mold spores. We also offer third-party mold testing should health issues be identified to determine if the mold is toxic. If you suspect mold, call 911 Restoration immediately. Mold removal needs to be handled promptly to mitigate the impact. Let us help you get your Fresh Start easier.